3. For banns, wedding and baptism enquiries, please contact the Rector at the above address. Advice on preparing for these occasions is also available from the Church of England web site. 4. More details are available in the Parish Magazine, published at the beginning of each month, current price . Saint Andrew's Church is fortunate in having mosaic panels covering approximately 200 square metres of the north, west and south walls of the nave, depicting the twelve apostles, together with the heads of eight patriarchs from the Old Testament and the Apostles' Creed. This is said to be one of the finest and largest mosaics in the country. It was designed by the Victorian architect William Butterfield FSA (1814-1900) and constructed in 1885. It is believed to be based on mosaics he had seen at Ravenna. The mosaics were apparently intended to include a large panel above and around the arch to the sanctuary, which would have depicted Christ in Glory, flanked by Saint Peter and our patron Saint Andrew. This panel was not installed due to lack of funds, and the face of the arch is still painted white. The repairs and conservation of the existing mosaics commenced in 2005 in conjunction with other repairs to the fabric of the church. The remainder of the work was completed in April 2006, in time for the Holy Week and Easter services. The former Rector, Fr. 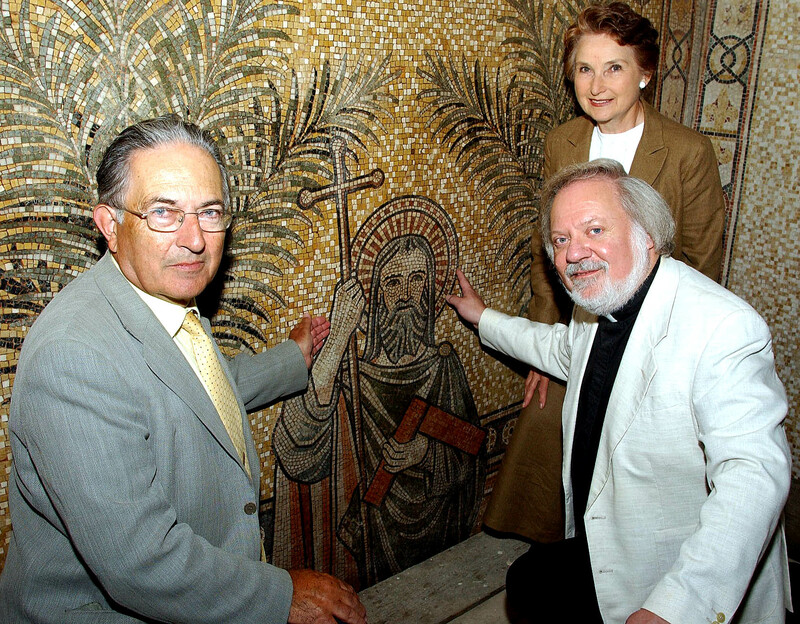 Edward Jervis, with the then Churchwarden, John Hubbard and PCC Secretary Brenda McCurdie, by the restored mosaic figure of Saint Thomas the Apostle, patron of builders. For more details and photographs, please see the Information Leaflet (pdf file*) and the Mosaics pages. The information on these latter pages will be updated as more information becomes available. 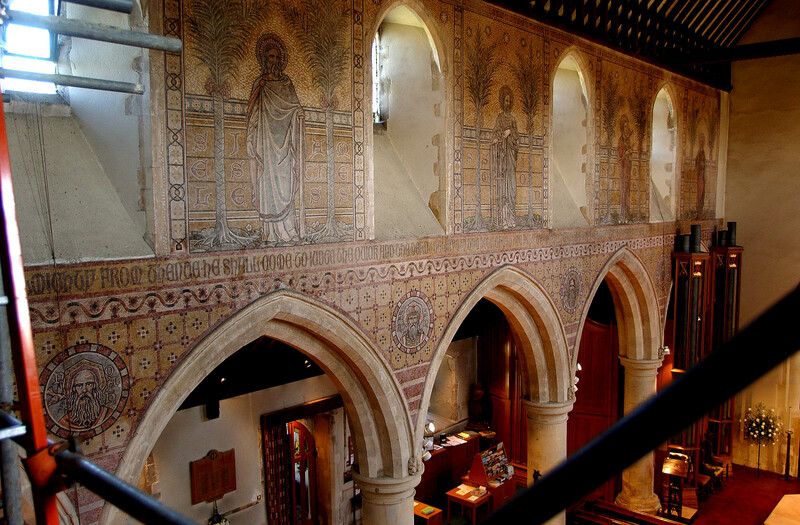 The mosaics are also described in An Argument for The Decoration of Churches by the late Revd Dr Henry Bailey, who was Rector of West Tarring and Rural Dean when the mosaics were installed. 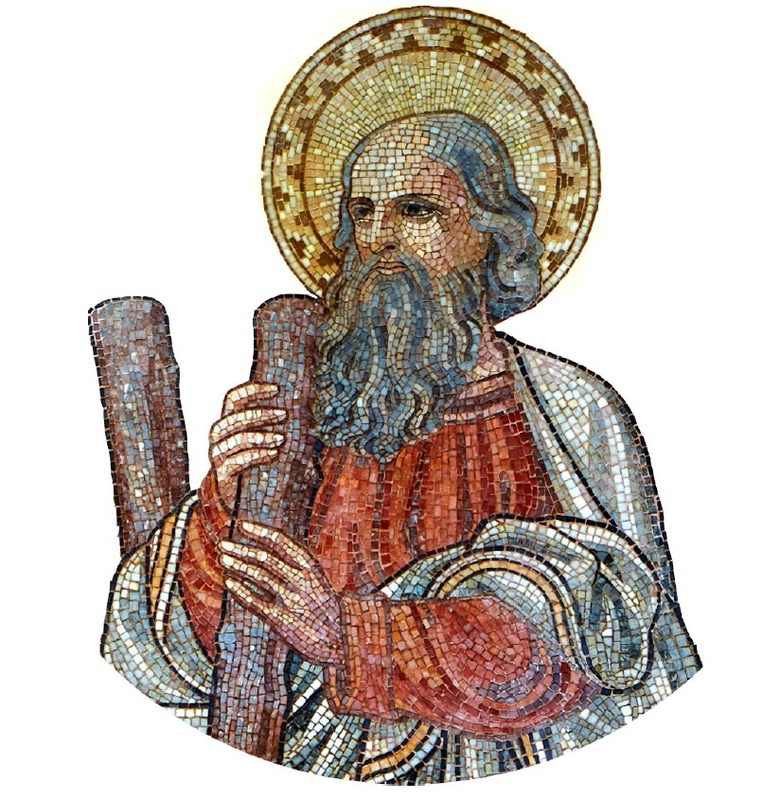 Information on mosaics in general can be found on the Mosaic Matters site. * : Warning: this file may take a few minutes to load. The market, which is held by the Parish Church annually under a Royal Charter, normally takes place on the first Saturday in June at The Old Palace in Glebe Road, West Tarring. The management of this market is now undertaken by the Parochial Church Council (PCC).